When my niece, Ellen, and I were emailing each other about launching our respective blogs, we inevitably asked The Question. Are YOU going to write about the family? Isn’t that the essence of writing? It begins with family. Sure many bloggers, pundits and authors write about topics completely unrelated to family. But we all were born into one – no matter how briefly – and we can’t escape the influence family (or lack thereof) plays in whatever direction our writing takes us. I will write about my family. But I want to be mindful of their privacy and their feelings (aka still seeking my Mother’s approval). My family doesn’t have deep, dark secrets. My birth family is Caucasian, mid-western, and middle-class. My family stuff will be mostly light-hearted, sometimes exaggerated, occasionally reflective and always from a place of love and gratitude. Pierce – my stepson. I’ve never really liked that term, especially considering the relationship I have with Pierce. If I had birthed a son, I’d want him. Parker – my daughter-in-law. The one who bore the brunt (pun?) of giving us two supercalifragilisticexpealidocious grandchildren. We are eternally grateful to her for our gift. 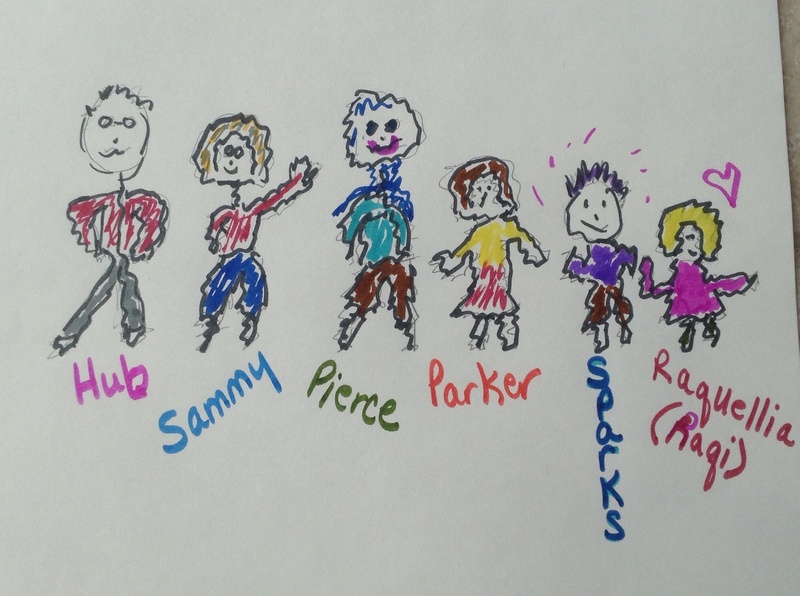 Sparks – my 10-year-old grandson who lit up like a … spark … when he told me to call him Sparks in my blog. Raquellia – my 8-year-old granddaughter. Loves creative spelling. Has a few alter egos herself and picked a new one for my blog. Since I’ll talk about her a lot and Raquellia is a lot of typing, I might just dub her Raqi. Love this Family Ties post! Very creative and fun to read! I have enjoyed reading about you and several of your posts – such upbeat themes and beautiful sunsets. I will enjoy your optimism scrolling through my reader !